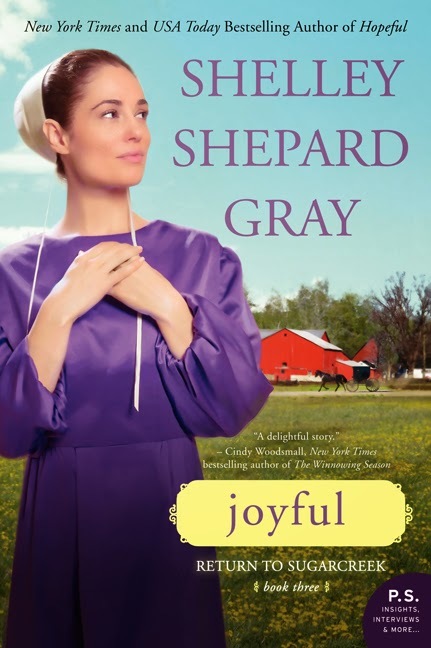 I had the opportunity to review Shelley Shepard Gray's newest book in the Return to Sugarcreek series, Joyful. USA Today raved: "A sweet, straightforward story about how love can be tested by family, faith, and personal insecurity. Enjoyable and heartwarming." I loved the character of Elizabeth! She was sweet and determined! The characters were introduced early on in the book so the mystery was how would they find their way back to one another. I loved the storyline of hiring Elizabeth to work for the family. It was evident that she would get under Randall's skin the moment she came to their home! I thought that they characters in this book were well-thought out and enjoyable to read. I loved how they all had such strong bonds with family and how that transferred to their responsibilities as caretakers to their relatives. You can purchase Joyful at your local book retailer or online at stores like Amazon.